There's no relenting spirit as OPPO Chinese phone maker keeps releasing nice phones we could ever imagine. Taking a little recap on their phone product so far, recently we learnt about them releasing Find X which is now on sales with an amazing features. 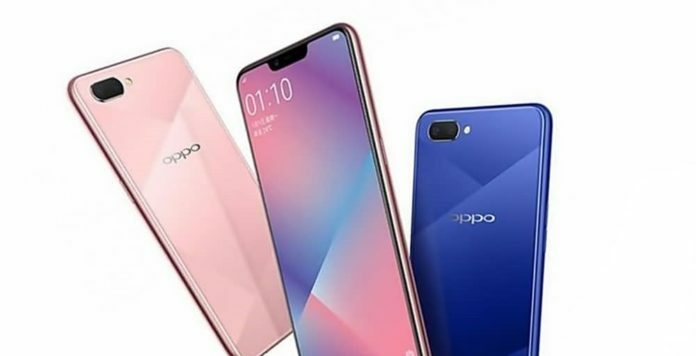 Also we have A5 released on the same note having similar features like Find X but it doesn't come with pop-up camera like Find X.
OPPO never stop at that like some days ago they promise releasing F series in twos, F9 and F9 pro any moment though it hasn't been releasing yet. Currently the new upcoming mid-range smartphone is R17 and R17 Pro if you haven't heard about. A3 was announced last month in India to be coming soon which is finally out at affordable price with it unbeating enticing features. It is announce coming in two variants, 3GB RAM and 32GB storage model and 2GB RAM and 16GB storage model with their other configuration remaining the same. Nothing has change about it configurations, still coming with a 6.2 inch 19.9 display with 88.8 percent screen-to-body aspect ratio and HD+(1520 x 720p) resolution. OPPO A3s is powered by 1.8GHz octa-core Qualcomm Snapdragon 450 mobile chipset back by any of the variant mention above. The camera is super good featuring a 13-megapixel primary sensor and a 2-megapixel secondary sensor, both on the rear with LED flash, running Android 8.1 Oreo-based ColorOS 5.1 out-of-the-box. Also powered by a 4,230mAh battery. OPPO A3s is available in two colour variants, Dark Purple and Red colour for now and can be pciked at any of the following online stores Flipkart, Amazon and Paytm.